Heather grew up on a cattle ranch in Sheridan, Wyoming and graduated from the University of Wyoming with degrees in Exercise Science and Nutrition. She’s always been interested in people’s relationship with food—where it comes from, how it’s prepared and consumed, and the effect it has on us. She loves to cook and eat, and her childhood on the family ranch instilled values like hard work, humility, and respect for others. It’s no surprise then, that she fell in love with the restaurant industry, where she gets to introduce people to healthy, delicious food every day and make new friends from a variety of backgrounds. She managed a family-owned, Southwestern-concept restaurant group in Eagon, MN, for 9 years before moving to downtown Minneapolis to manage a hip Latin-infused tequila / tapas bar. In the fall of 2017, she made her lifelong dream of moving to sunny CO come true. 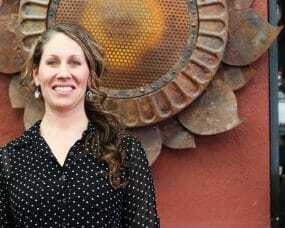 She joined the Centro family, and after a fun-filled year brought things back to her Southwestern roots at Zolo Grill where she’s been leading the team with a smile ever since. When she’s not at Zolo, you’ll find “Hoss the Boss” enjoying the outdoors with her boyfriend Kyle, skiing, gardening, or just enjoying the sunshine with her dog and chickens.